Their names are everywhere: Brickell Avenue, the Julia Tuttle Causeway, Flagler Street, Collins Avenue. Who are the people behind these names? How did they help shape the history of Miami? Begin your history lesson with a quick whos-who guide of Miami's most famous historical residents. Here are some of the most recognized names in Miami's history. Brickell moved to the Miami area from Cleveland, Ohio in 1871. He and his family opened a trading post and post office. They owned large tracts of land stretching from the Miami River to Coconut Grove, some of which he later contributed to the railroad company for the rails that put Miami on the map. Tuttle was the second landowner in Miami, purchasing 640 acres on the North Bank of the Miami River. Also from Cleveland, Tuttle's father was good friends with the Brickell family until a falling out ceased the friendship. It was at the urging of Julia Tuttle that Henry Flagler brought his railroad south to Miami. Flagler was a magnate in the oil industry who created a vast empire with John D. Rockefeller. His attention turned to expansion, he began to develop the east coast of Florida. He began in St. Augustine purchasing land and hotels. Starting a railroad system, he extended the rails south a little each year. When Julia Tuttle suggested that he consider bringing it all the way to Miami, he was not interested. There was very little apparent value in the area. In 1894, a freeze hit Florida, destroying the agricultural base of Florida's economy. Tuttle wrote to Flagler that Miami was untouched and that the crops in the area continued to thrive. This prompted a visit, and it is said Flagler decided within one day to continue his railroad to the paradise he found. 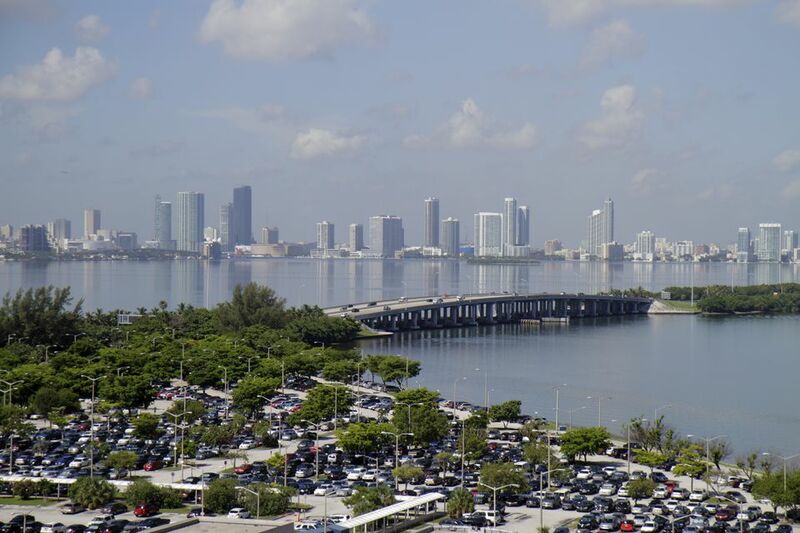 Tuttle and Brickell both offered to share some of their landholdings for the project, and it was soon underway. In 1910, Collins joined with Carl Fisher to take on a daunting task. He believed that the mangrove swamp he observed on the coast could be profitable. Together he and Fisher purchased the land, much to the amusement of onlookers. The tremendous project of transforming that swamp into habitable property was a difficult one, but when completed, the resulting present-day Miami Beach kept Collins amused -- all the way to the bank!